A program that brings mobile produce markets to people who would otherwise struggle to access and afford fresh fruits and vegetables made its debut in Central Falls Dec. 9. Residents loaded up on the low-cost healthy foods, which was exactly what public health Associate Professor Amy Nunn was hoping for. PROVIDENCE, R.I. [Brown University] — For many residents of Forand Manor, a public housing high-rise for seniors in Central Falls, there is basically one option for healthy food shopping. A Stop&Shop across the Seekonk River in Pawtucket pays for a bus every Tuesday and Friday. Once the residents get to the supermarket, they must figure out how to stretch their dollars and, in many cases, their Supplemental Nutrition Assistance Program benefits, as far as they can before they run out – often early in the month. But Wednesday, Dec. 9 was different. That afternoon, residents could find a bustling produce stand without even leaving the building. A Food on the Move Rhode Island market had set up shop in the community room, providing a variety of fresh fruits and vegetables — including some rare ethnic favorites — at the lowest possible prices and with grant money to double the value of their SNAP purchasing power. The Rhode Island Public Health Institute program, directed by Amy Nunn, associate professor in the Brown University School of Public Health and Alpert Medical School, brings the markets to places all over the state where access to healthy food is limited. Market shopper Shirley Bosse typically depends on the supermarket bus, so she was excited to return from a doctor’s appointment in time to shop at the Food on the Move market. As she stood in the long but steadily moving checkout line with grapes, apples, oranges, and other produce in her basket, she said the market would lead to her and her neighbors eating more fruits and vegetables than they would otherwise. Rosa Lima can drive but said she still was still happy to take full advantage of a market in the manor’s community room. 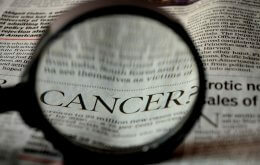 That’s the public health benefit the program strives for, Nunn said. In communities around the state, many people don’t have the ready access or the buying power to eat as much produce as nutrition guidelines suggest they should. The U.S. Department of Agriculture, which helps to fund the program, suggests that half the plate at every meal should be fruits and vegetables, but for many people on tight budgets in neighborhoods long on fast food and short on produce markets, that’s much easier said than done. Food on the Move is a new generation of markets begun as the “Fresh to You” research program of Kim Gans, who remains an adjunct professor at the Brown School of Public Health now that she’s moved to the University of Connecticut. In a study published in the journal Preventing Chronic Disease earlier this year, Gans and lead author Gemma Gorham, who continues with Brown and Food on the Move, reported that children whose parents shopped at markets ate about a half cup more fresh fruits and vegetables on average they did before the markets came along. This fall the efforts led by Nunn, Gorham, and staff member Hilda Castillo have kept the markets going with the USDA funding and two new grants of more than $200,000 from the federal government and the Champlin Foundation. Those will help the program finance a second truck with refrigeration and to retain a local food broker. 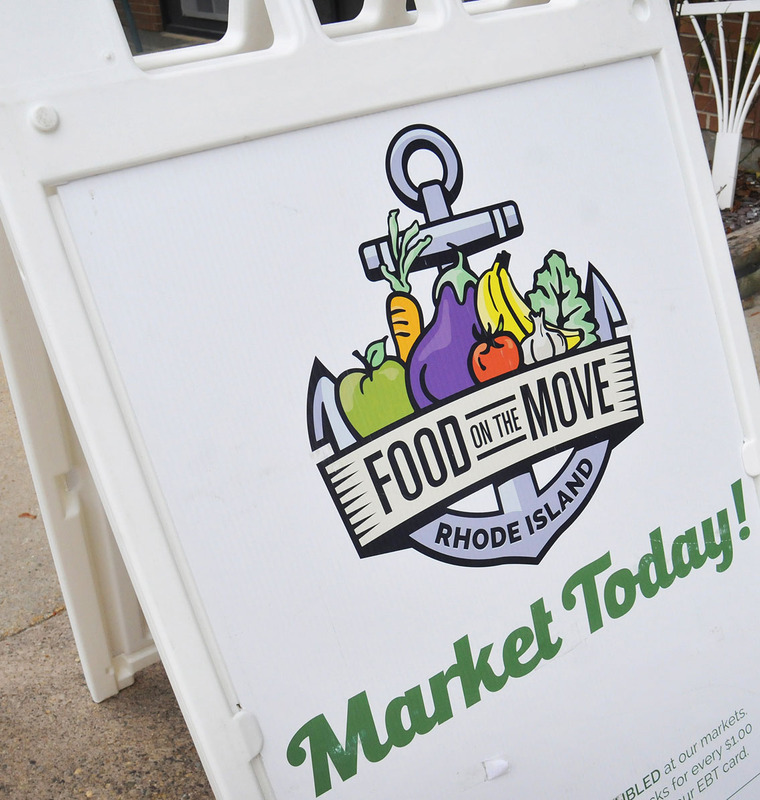 Since September, Food on the Move has offered more than 60 markets in Providence, Pawtucket, Woonsocket, and other economically distressed locales, selling more than $30,000 worth of produce. Along the way, the program has issued more than $17,000 in “Rhody Bucks,” to match the SNAP spending of shoppers who have engaged in more than 3,400 individual sales transactions. Separate markets at Brown, meanwhile, subsidize the markets in needy communities. The Forand Manor market sold about $1,400 of produce that afternoon to dozens of residents and a few visitors. There was also a market at the Wilfred Manor complex in Central Falls that morning, marking the program’s debut in the city. Central Falls Mayor James Diossa came by the Forand Manor market to check it out. He praised the effort. Forand Manor resident services coordinator Melanie Cabral Andrade said it gave her peace of mind to see residents shopping. 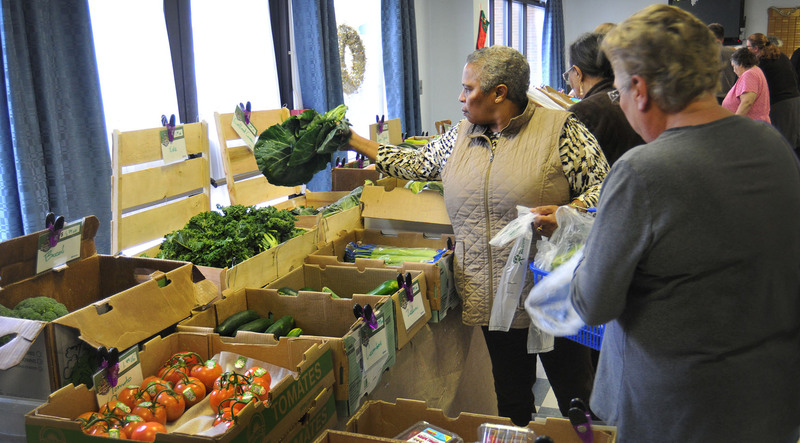 “The fact that they have another option improves their quality of life,” she said as she watched residents put kale and plantains and tomatoes in their baskets. 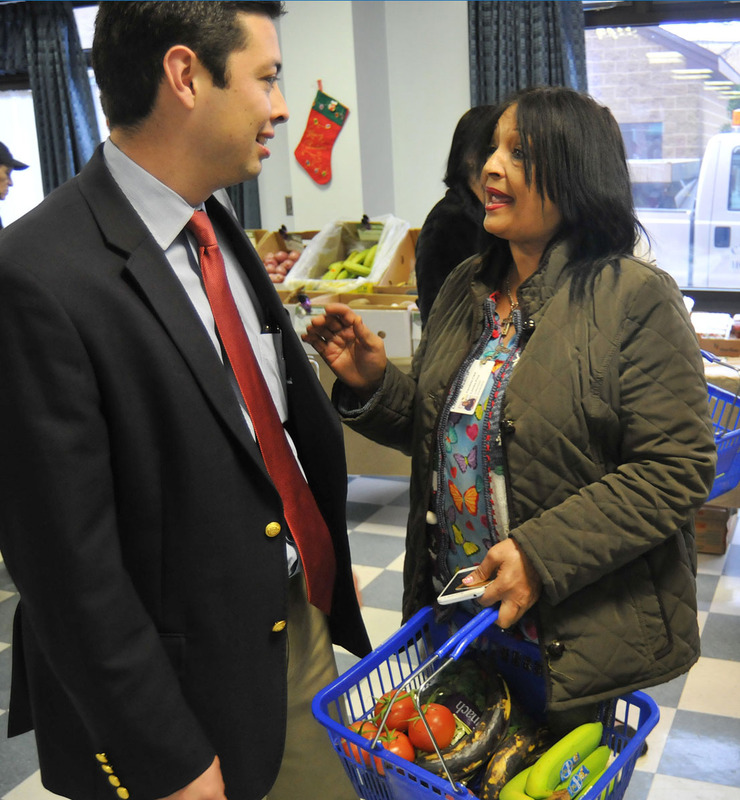 Central Falls Mayor James Diossa talked with shoppers, including visitor Candida Lombe Pina. Maria Silva, speaking through translator and market staff member Andres Vasco, had bought collard greens, zucchini, squash, cabbage, and avocados. She’ll cook them with fish, chicken, and pork she’s bought at the supermarket. She said the prices of the produce were low and she was glad to not have to go to the PriceRite supermarket, which is about a 20-minute walk away. Even though resident Rosa Lima can drive herself to a market and has a son in Pawtucket, she still took full advantage of the Food on the Move market. The reason is that the prices were cheap, she said, and this was much easier than going out. Lima bought tomatoes, sweet potatoes, collard greens, squash, broccoli, and more. Her plan is to make some gazpacho and to bring some of the longer-lasting vegetables to her son’s house closer to the holidays when she’ll help with the cooking. The market will be back in Central Falls and other places next month, Nunn said. Andrade said she’d love to open the market to the community, not just to manor residents. The markets integrate well with a broader community public health effort called the Pawtucket Central Falls Health Equity Zone, said Carrie Zaslow, program officer at the Rhode Island Local Initiatives Support Corporation. Quite a few shoppers were, too.